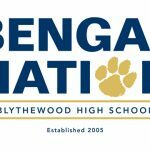 The Blythewood Cheerleading program announced their teams for the 2017-2018 school year. Congrats to the members of the 2017-2018 Varsity Cheerleading Squad, the 2017-2018 JV Cheerleading Squad, and the 2017-2018 Basketball Cheerleading Squad! 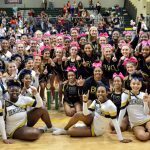 The Blythewood Varsity Cheerleaders have qualified for the 2016 State Championship Meet at the Colonial Life Arena on Saturday November 19. Their appearance marks the first time in school history that the team has qualified for the championship meet two years in a row! The Bengals have had a successful season to this point.